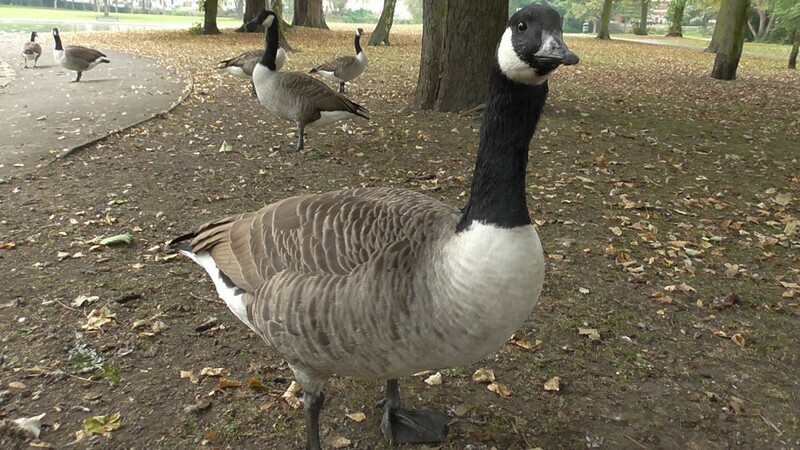 Sandwell council killed many Canada geese at Dartmouth Park West Bromwich and Victoria Park, Tipton between 2013-14. It was revealed by the council that the birds had their necks broken at Forge Mill Farm at The Sandwell Valley, one of the borough’s top promoted family tourist sites. We are a group opposed to this slaughter and continue to campaign to stop it happening again. 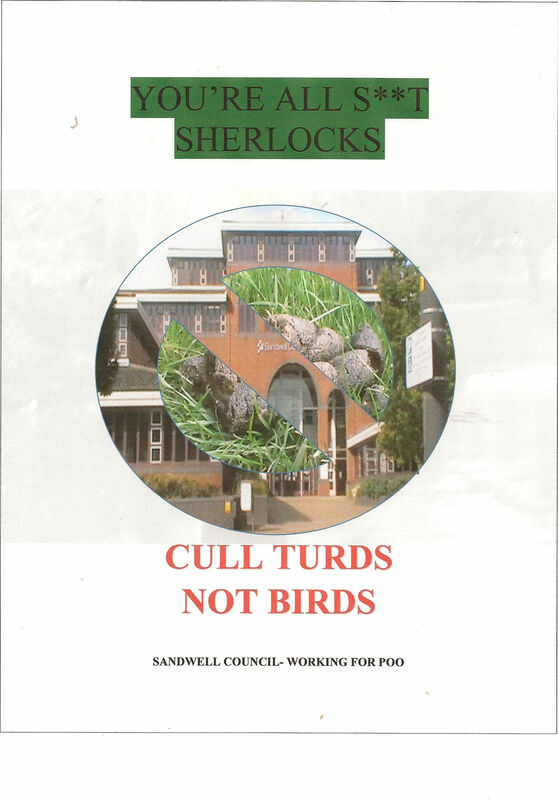 To seek scrutiny of Sandwell Council’s decision to kill Canada geese on these parks- where currently there appears to be only biased uninformed opinions of certain council officers with vested personal interests. 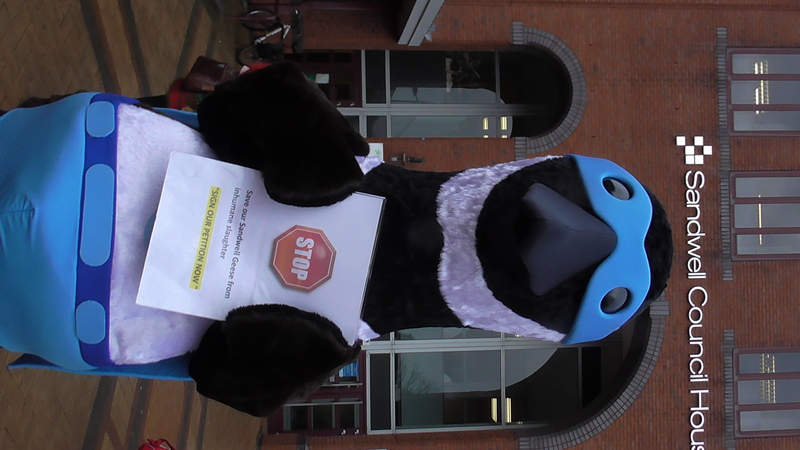 To challenge the misconceptions promoted about the bird by this council and others, and to promote education to the public about goose behaviour. DOWNLOAD OUR CANADA GOOSE FACTSHEET HERE. To campaign and lobby Sandwell council to never again allow a final solution such as culling of healthy geese to take place in the borough. To Work with other like minded groups in stopping plans to cull birds and offer effective alternative non lethal solutions. 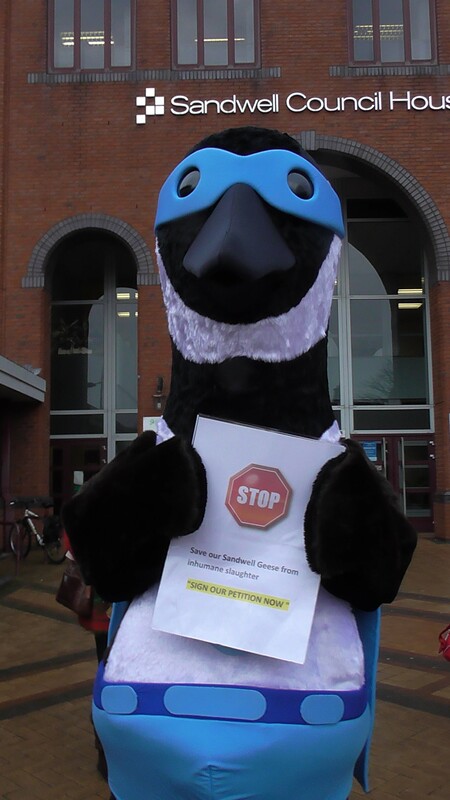 READ OUR REPORT CONCERNING HOW SANDWELL COUNCIL HAVE PRACTICED AVIAN APARTHEID IN ITS GREEN FLAG PARKS.